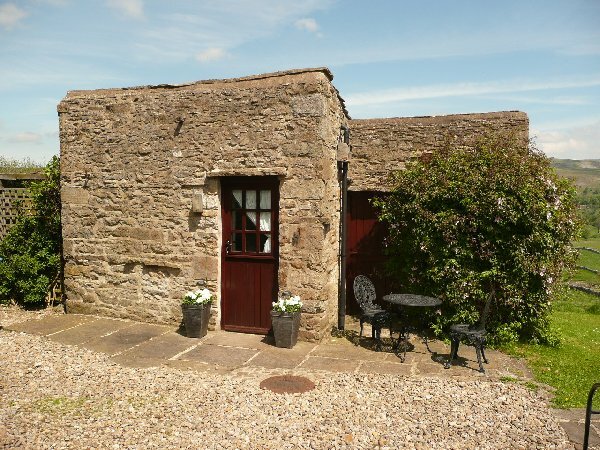 The Piggery is located in the quaint village of Thornton Rust in beautiful Wensleydale and provides top quality, self catering holiday accommodation for one or two people. 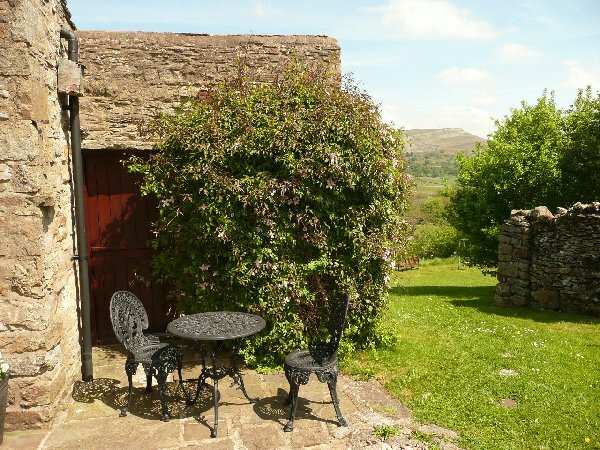 The village features stone cottages, a village green and spectacular views of the dale. A short stroll from the property crosses a small stream and leads uphilll to the moors. The market towns of Hawes and Leyburn are close by, and offer a range of shops, inns and restaurants to suit every taste. The historic town of York, the Lake District and the North Yorkshire Moors are also within easy traveling distance for a great day out. Walkers can enjoy many varied walks, with several footpaths "from the doorstep" leading towards the River Ure, the heights of Addlebrough (one of the most prominent skylines in Wensleydale) and to many interesting local hamlets and villages. This unique, single storey, detached stone building is tastefully converted and decorated to combine original features with modern design and provides cosy, private accommodation Many personal touches and attention to detail ensure that your holiday is happy and memorable. It can be let for short breaks throughout the year from one night to full week, or longer if you prefer. This property is an ideal base from which to explore the area, a romantic hideaway to get away from it all, or as extra accommodation for large parties visiting the The Old Goat House. It is fully heated and comprises a double-bedded room with a small circular table and chairs, fitted cupboards, kitchenette area, and is very well equipped. The en-suite shower room has an electric shower, toilet and washbasin. Outside, a covered pergola framed with honeysuckle and clematis, provides a private,secluded sitting area with a fabulous view over Wensleydale and has a large mosaic tiled table, with two comfortable rattan armchairs - excellent for dining al fresco and catches the afternoon and evening sun. A waterproof electric point for outside use. A chiminea can be lit for cooler evenings watching the stars above! Another smaller patio area to the front of The Piggery is south facing.Perfect spot for breakfasting in the summer sunshine. The large garden and meadow is shared with visitors to The Old Goat House. 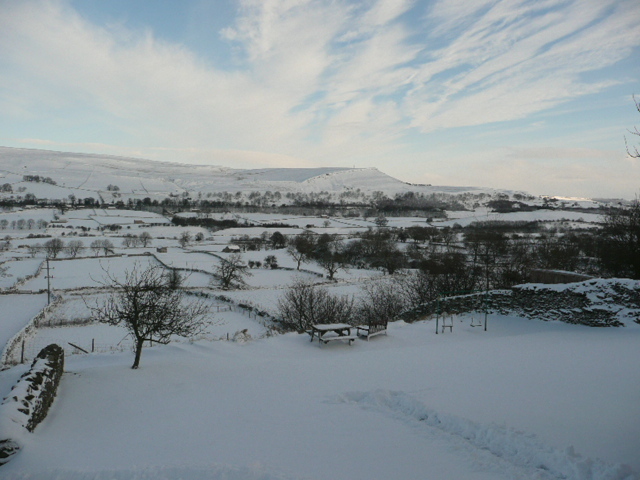 There are various places to sit, eat out and enjoy the panoramic views of Wensleydale. Discount for single person occupancy. Please enquire about Christmas and New Year prices. All heating, electricity, bedding, linen and towels are included in the price. The property is always warm and the bed made up for your arrival.